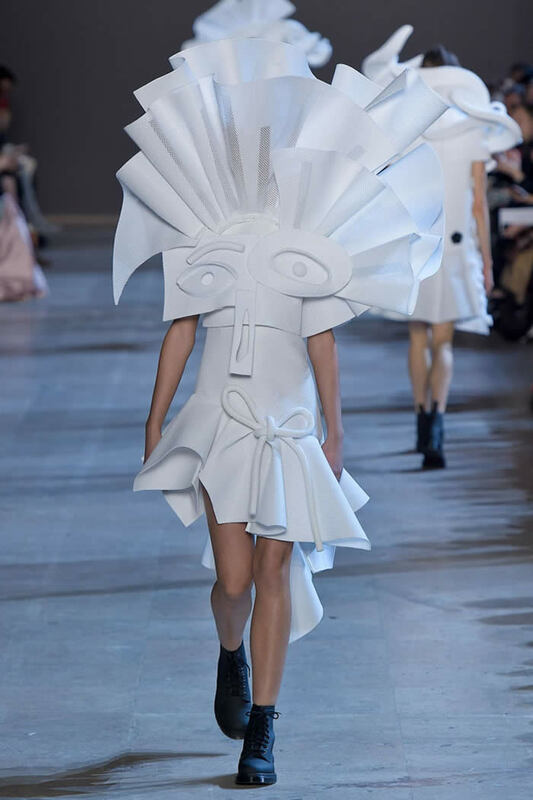 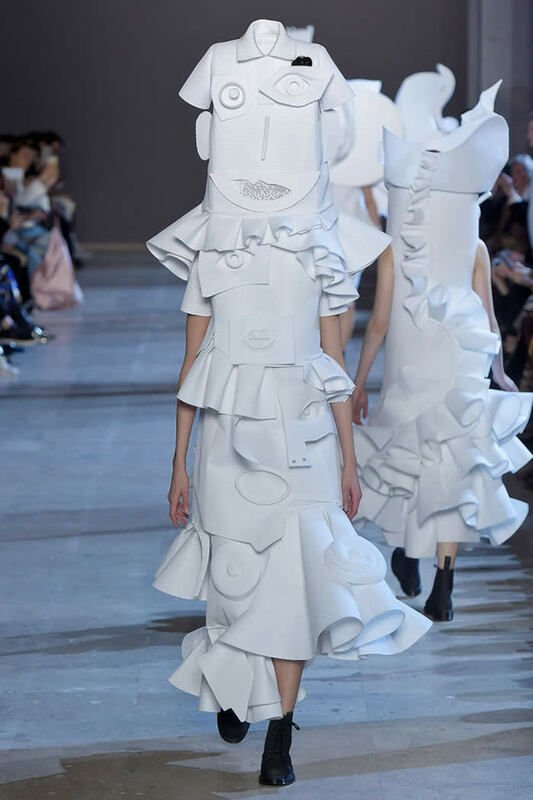 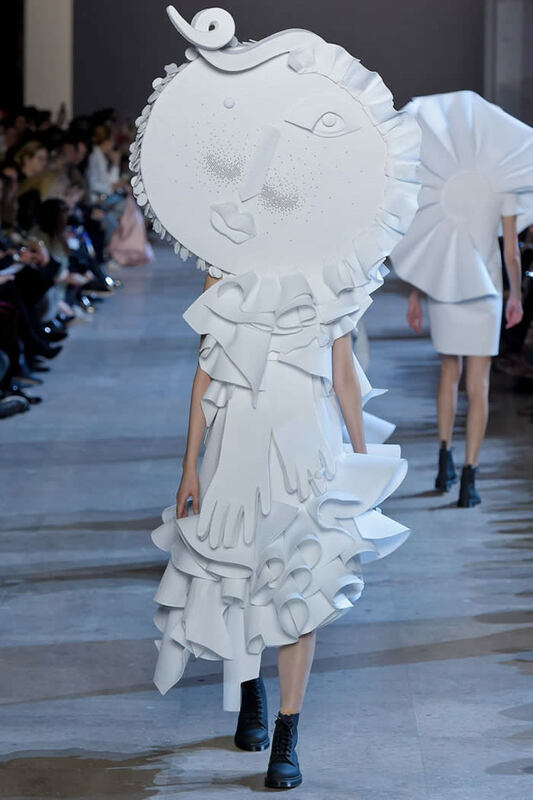 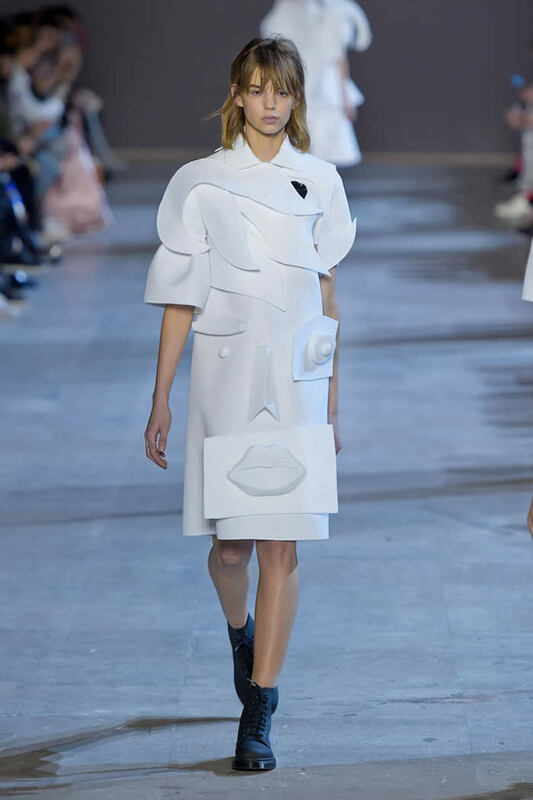 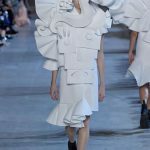 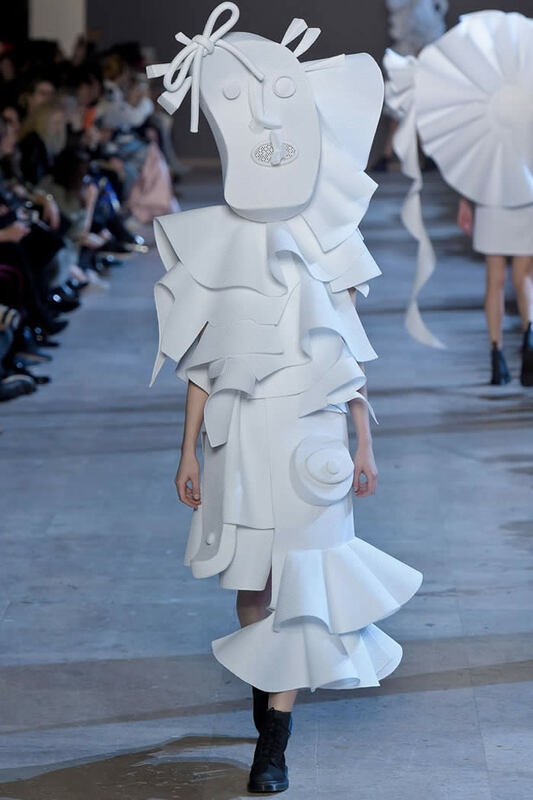 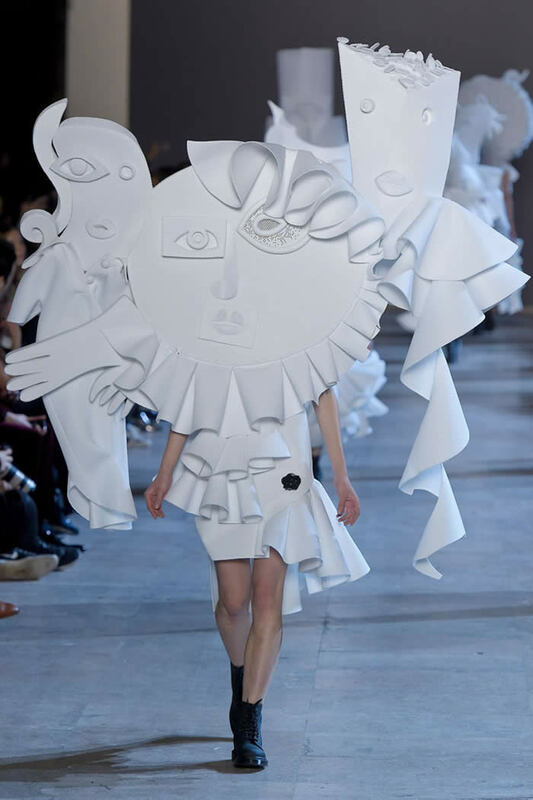 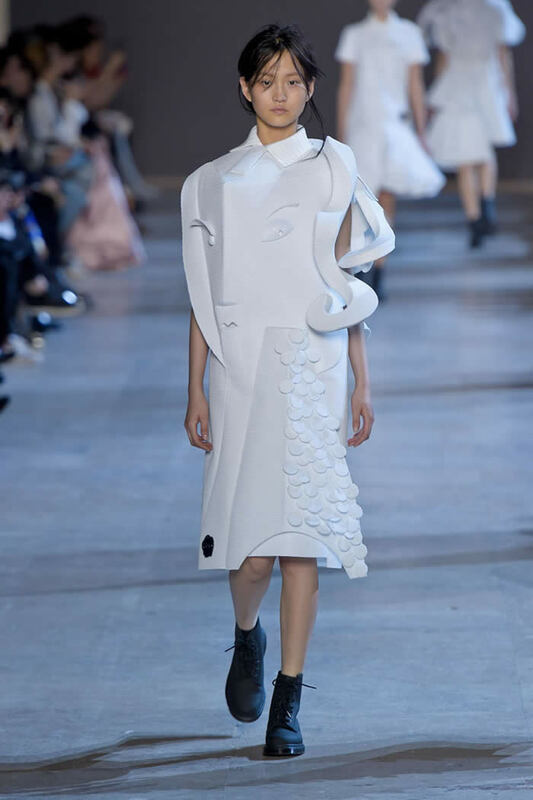 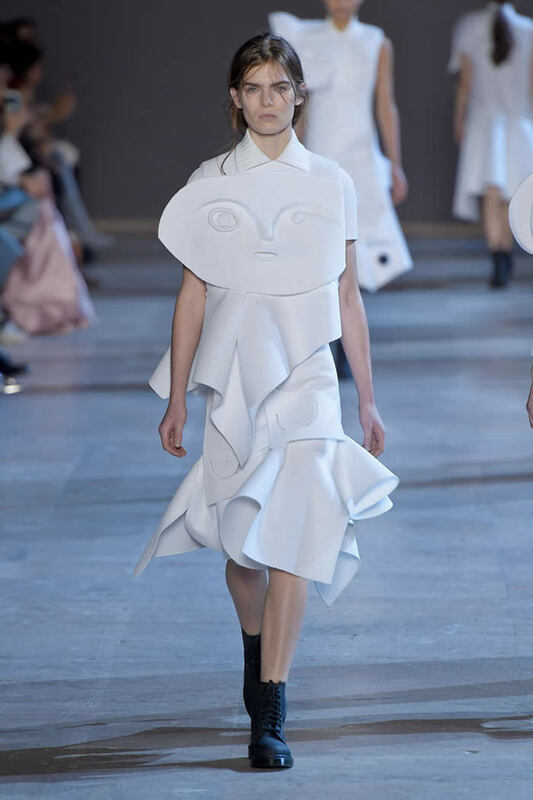 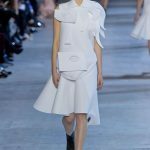 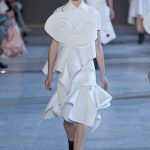 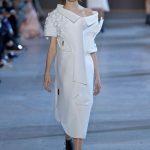 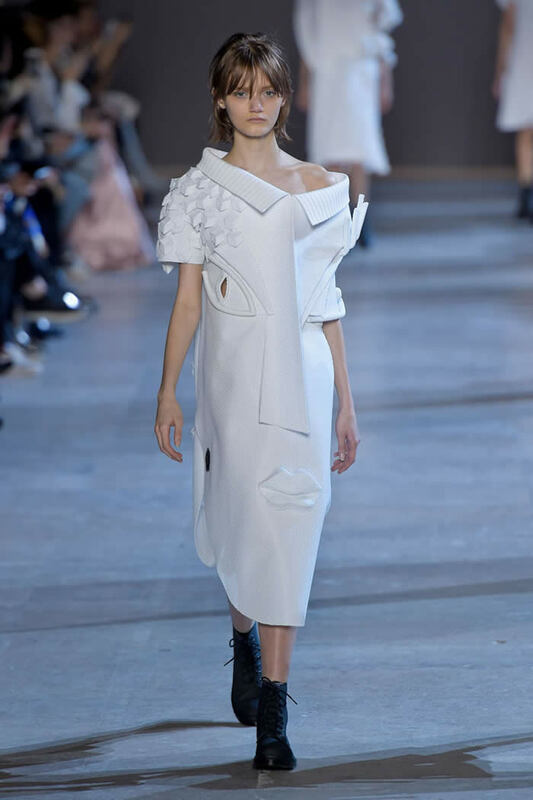 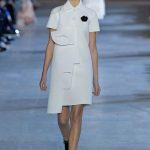 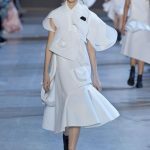 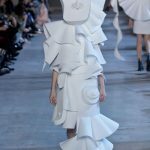 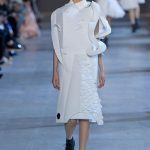 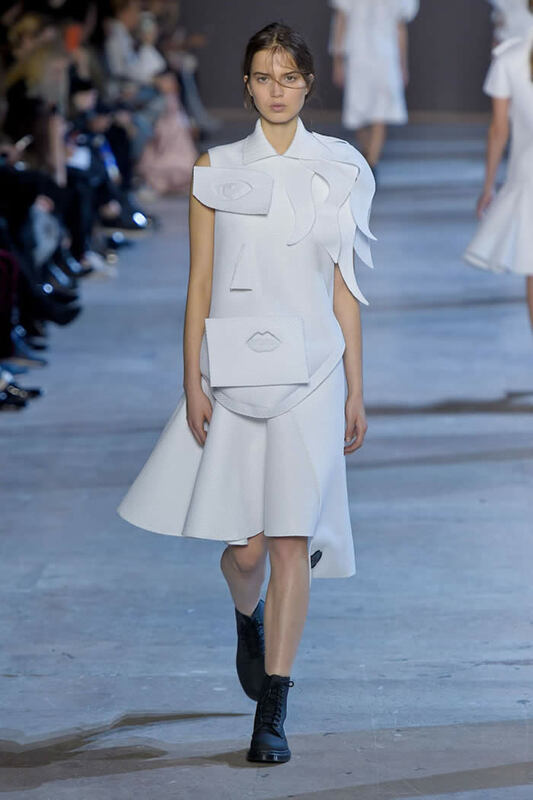 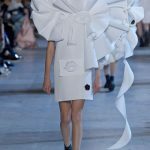 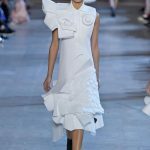 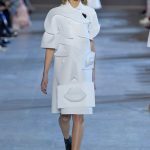 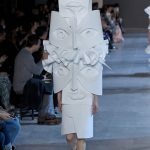 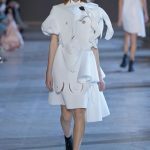 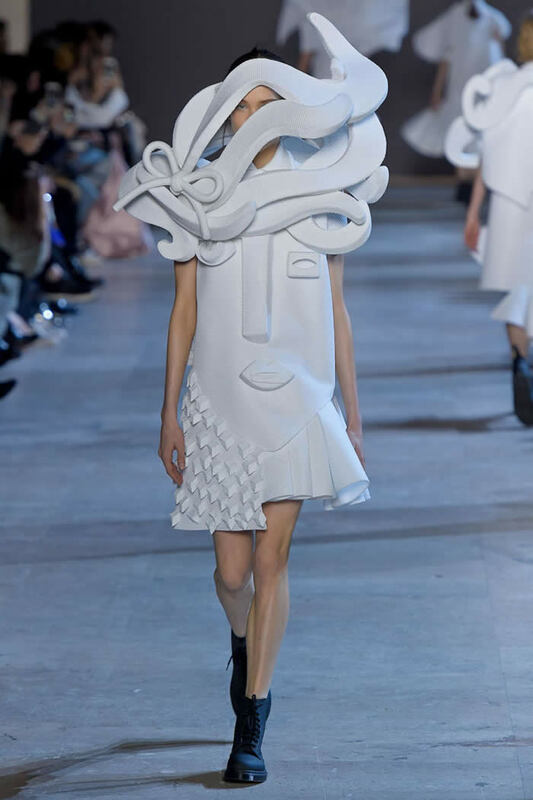 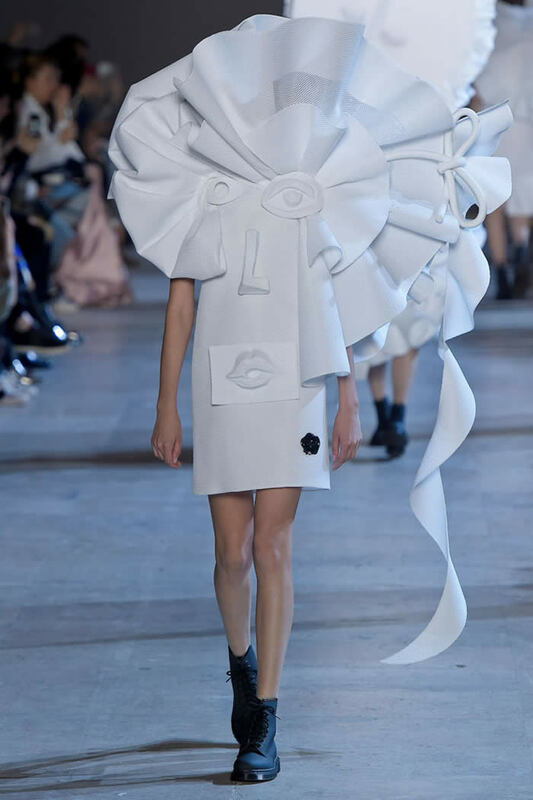 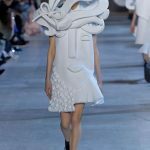 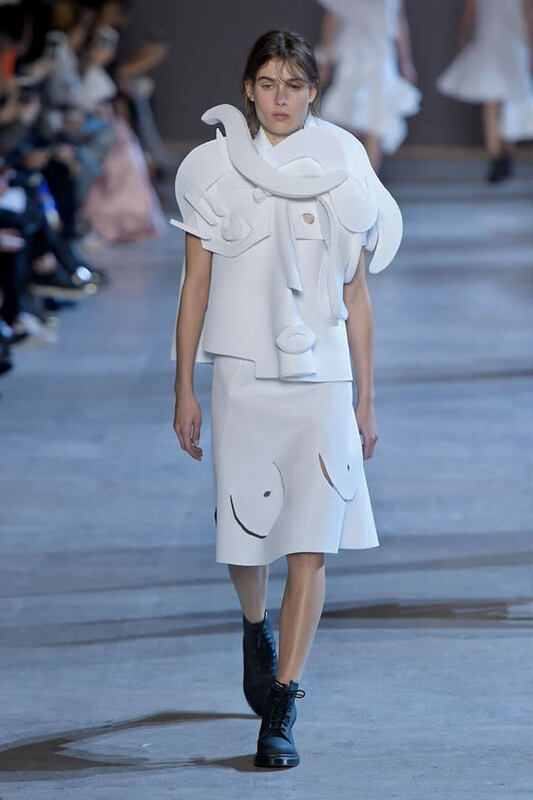 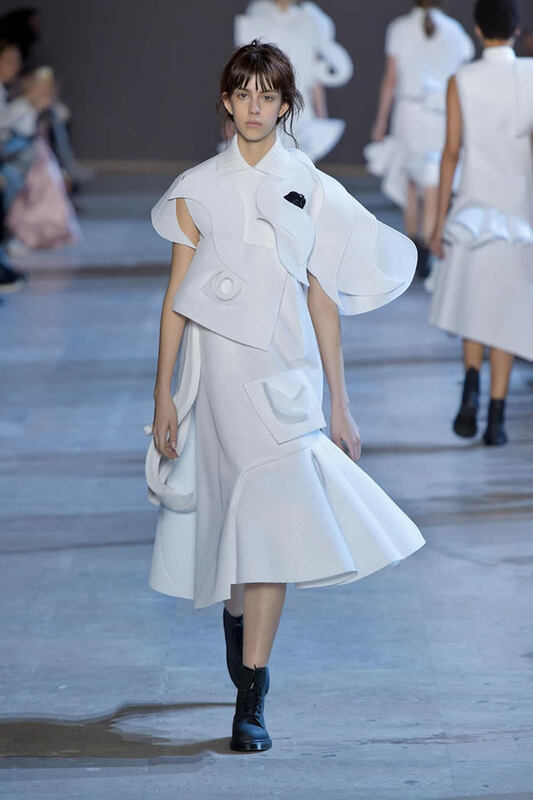 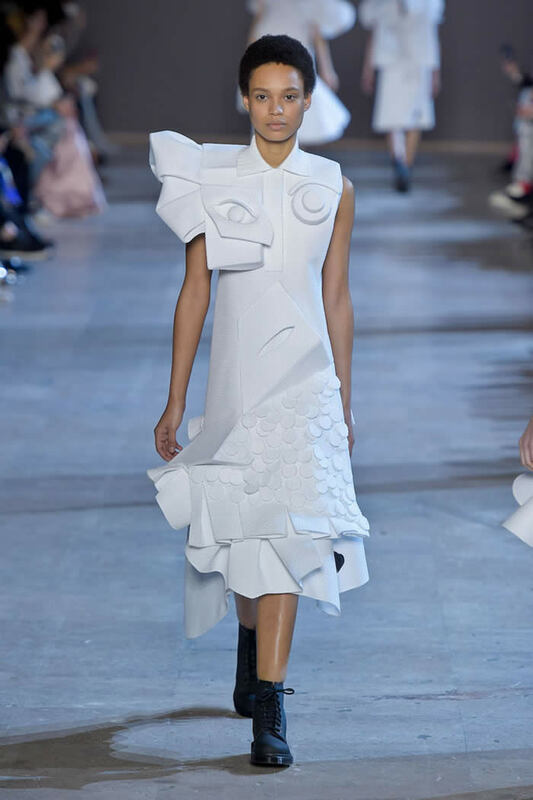 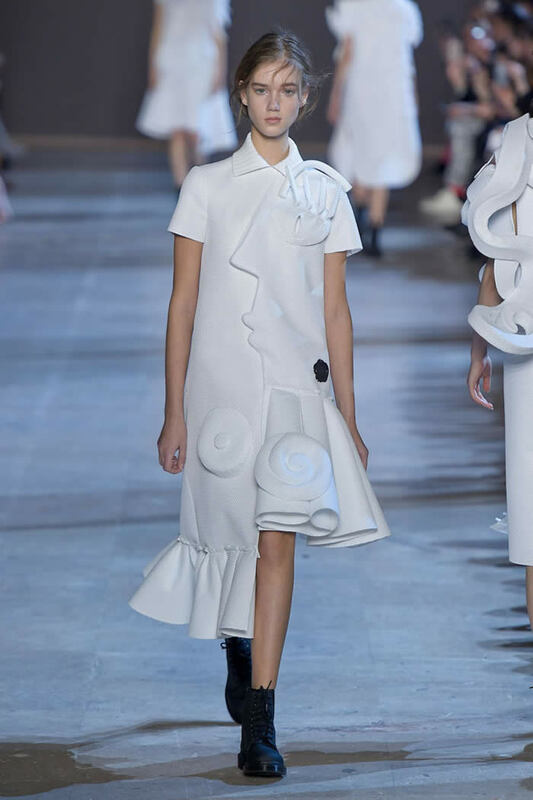 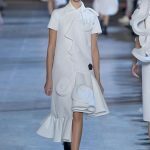 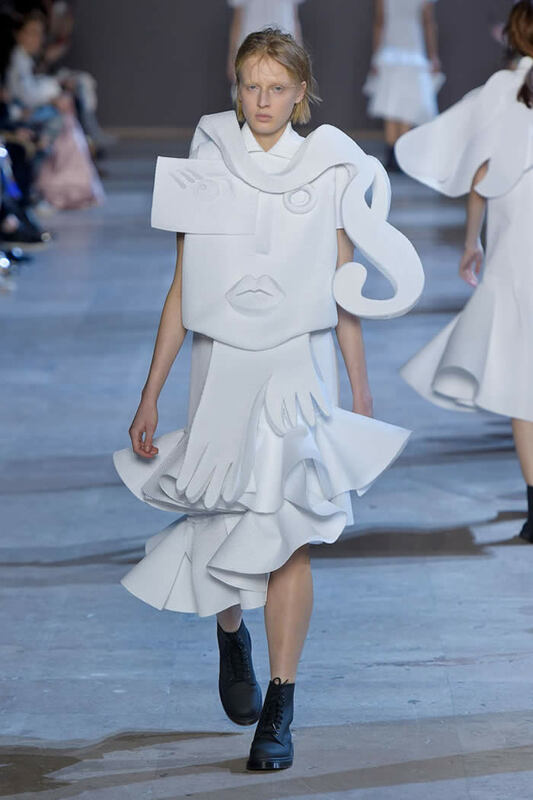 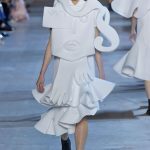 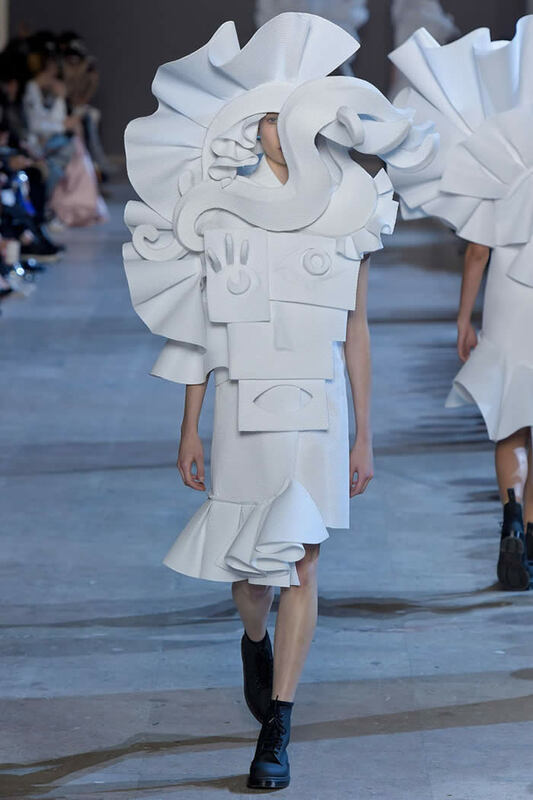 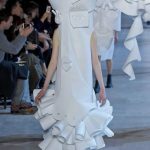 “It’s a Surrealist meeting of a white pique polo shirt and Cubist portraits,” Viktor Horsting, one half of design duo Viktor & Rolf, said during a preview of the spring couture collection. 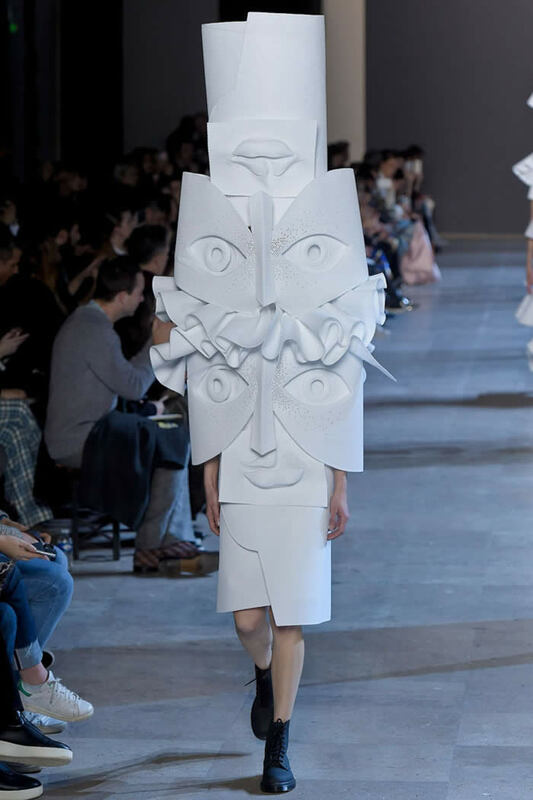 “We call it a performance of sculpture.”It was a trenchant description, as said polo accrued 3-D eyes, lips, noses, hair and hands all of it in a white, technical piqué stiffened by multiple means until the models became ambulatory totems, their heads and limbs partially or completely obscured. 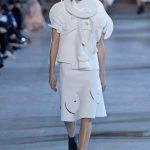 The show winked to Horsting and Snoeren’s penchant for accumulation: Remember Maggie Rizer dressed in layers like a Russian doll until she was practically consumed? 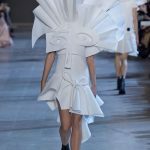 And it continued the conversation from last season when they transformed paintings into forms of wearable art that were snatched up by collectors, including the Costume Institute at the Metropolitan Museum of Art. 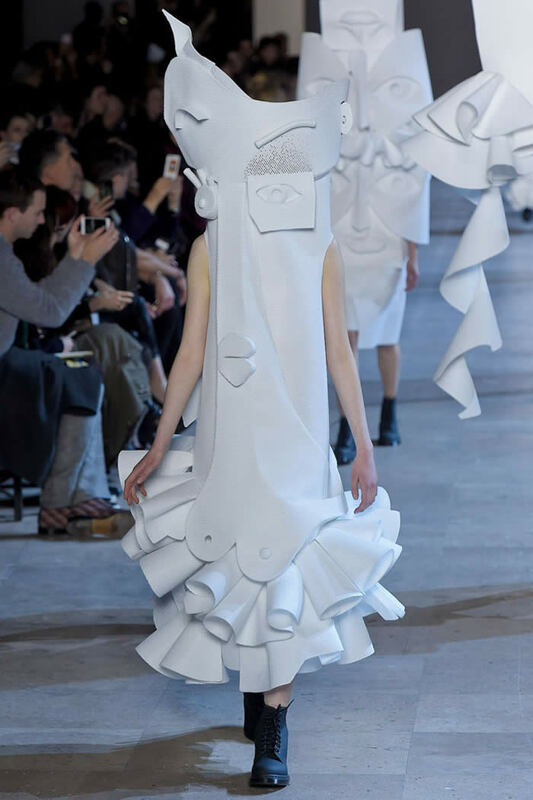 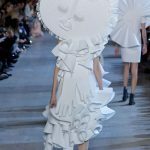 As clothes, these walking sculptures won’t make it much further than a Björk or Lady Gaga video except for watered-down versions that will be sold as a limited edition of 100 items on Moda Operandi, with polos priced at 800 euros, and a dress running up to 2,800 euros, or $870 to $3,050 at current exchange. 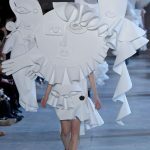 Yet they held your attention as individual silhouettes morphed from tubular to square to jutting, depending on the angle from which they were viewed. 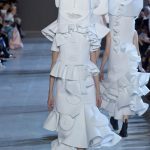 The addition of bows and stiff ruffles galore ourtesy of Viktor & Rolf, not the cubists heightened the charm of this brisk show, soundtracked with a Belgian girls’ choir belting Radiohead’s “Creep.”Horsting and Snoeren left behind ready-to-wear to concentrate on fragrances and couture, which they consider a “laboratory of expression.” The capsule collection, slated for delivery in March, bridges the gap and also comes in commercially friendly black.